I love an underdog. Someone who’s been knocked down too many times yet still gets up and gears up for a fight? Yep, that’s my kind of person. 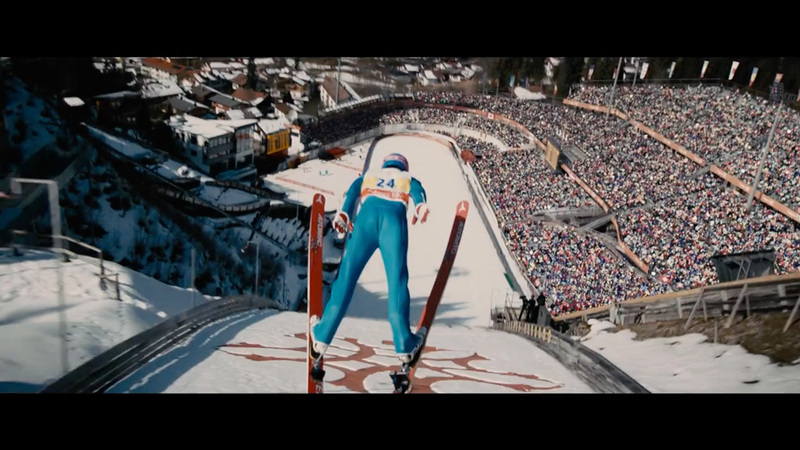 So when I saw the Eddie The Eagle trailer for the first time, I knew I had to go see it. That, and it has Hugh Jackman in it. I have my priorities straight, I tell ya. Based on a real story, the movie follows Michael Edwards, called Eddie, as he tries to become an Olympian. 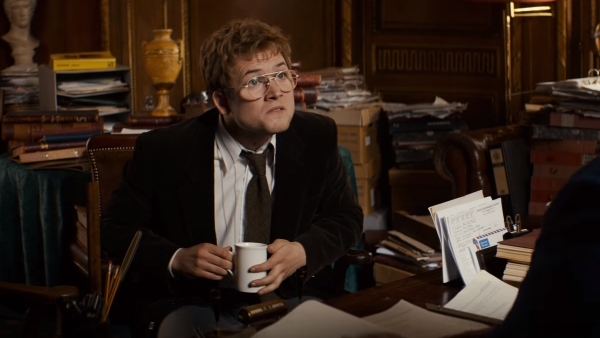 As a child, Eddie (Taron Egerton) has to wear a leg brace. Desperate to become an athlete, he tries one sport after another, but doesn’t show any real talent. Ever discouraged by his plasterer father (Keith Allen) and supported by his mother (Jo Hartlett), he finally finds his calling as a teenager when he discovers skiing. Unfortunately, though he wins one trophy after another, Eddie does not qualify for the British Olympic team. About to give up his dreams, inspiration strikes and he moved to Garmisch, Germany with barely a penny to his name, in order to teach himself ski jumping. There, he meets bar-owner Petra (Iris Berben) who offers him a job and a place to live. But without a coach, Eddie fast becomes the laughing stock of the entire town, especially the Finnish team training there. However, help might be just around the corner in the shape of former Olympic champion jumper turned alcoholic slope cleaner Bronson Peary (Hugh Jackman). Unlikely allies and friends, the two manage to get Eddie to qualify for the team, but unfortunately back at the Headquarters in London, not everyone wants to see Eddie go to the Olympics, and the committee will stop at nothing to keep him from competing. Aside from a killer soundtrack (all of my 80s dreams may have come true) and a superb cast (Mark Benton, Tim McInnerny, Jim Broadbent and Christopher Walken make appearances), the pulls on every heart string to make you fall in love with Eddie. I was sitting straight up in my seat at the end, holding my breath and crossing my fingers. An outstanding movie for the whole family that’ll life your spirits and make you want to find your dream! Tags: Eddie The Eagle, Hugh Jackman, olympics, ski jumping, taron egerton. Bookmark the permalink.